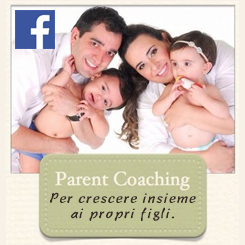 We embrace and foster English language learning from the earliest stages of life. This enables us to promote one of our most important values, the idea of a multicultural educational community. Today the English language is a key tool to becoming a global citizen and an opportunity we are proud to be able to give each child. Our school is a Trinity College examination center. Trinity College London is a leading international exam board and independent education charity that has bee operating around the world for more than 140 years. Trinity exam levels directly correspond to the Common European Framework of Reference for Language (CEFR) levels.The Trinity exam is included on the “Certification Authorities List approved by M.I.U.R. The exam is a useful tool in helping us measure, in a standardized way of each child’s progress. The Trinity exam is the only standardized assesment of English Language competency that created a path for very young children, who are too young for a written exam, to start learning English. 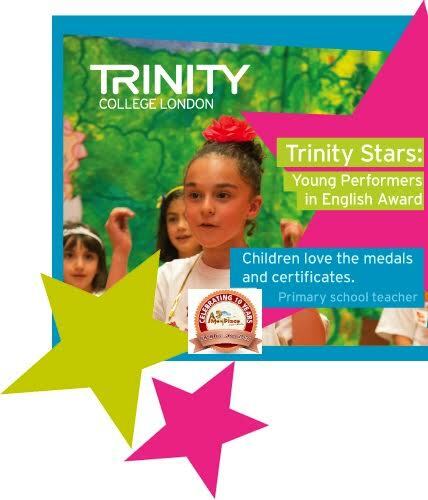 The Trinity Stars Awards were designed to encourage English learning through music, poetry, dramatic performance, mime, games and storytelling for even the youngest learners. Children who participate in this program will take part in a group performance utilizing the above skills. During the performance the children will be evaluated by a Trinity expert who will give them a certificate and an award.This program, launched during the 2011-2012 school year, has proced to contribute to the students’ self-confidence and motivation to communicate in English. Trinity & A Me Mi Piace andare all’asilo! introduces the concept of group performances ( Storytelling, Drama, Music).